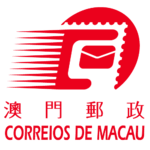 Macao Post (Portuguese: Correios de Macau, Chinese: 澳門郵政), formerly CTT Correios de Macau or CTT, is a department under the Government of Macao responsible for postal services. 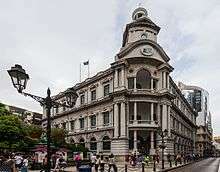 The acronym CTT comes from the former name of Portuguese postal administration (Portuguese: Correios, Telégrafos e Telefones, meaning "Post, Telegraph and Telephone") during the colonial period of Macao. The Macao Post was founded on 1 March 1884 as a separate entity from China Post and a sub-member of the Universal Postal Union. 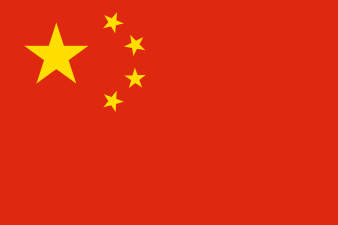 Prior to the transfer of sovereignty from Portugal to China in 1999, Macanese postage stamps bore the Portuguese words REPÚBLICA PORTUGUESA (i.e., the 'Portuguese Republic'), but now bear the Portuguese words MACAU, CHINA. CTT post boxes are red in colour as was the case in Hong Kong before 1997. The boxes bear CTT's name in Portuguese and Chinese. ↑ "About Us". Macaupost.gov.mo. Retrieved 29 December 2014.